It's been a busy one for us. I did a lot of cleaning and putzing around the house. Make up is hard on a paint job. I repainted my vanity table and relined the drawers. We went down to Texas A&M for my nephew's commissioning into the Army. He did 4 years in the Corp. Congratulations, Riley. We celebrated the May birthdays and Mother's Day. My darling daughter made this for me. 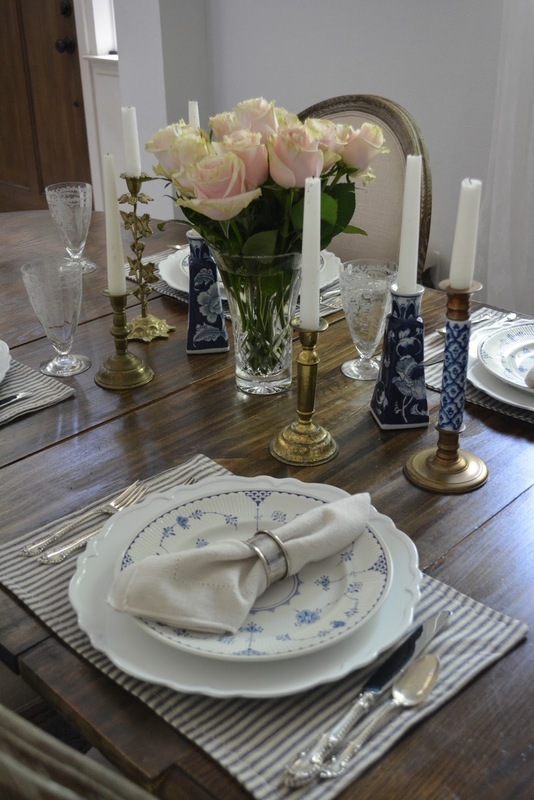 It's time to make my list of summer projects and do some summer decorating! You all are so inspiring. Our feature this week is Penny from Penny's Vintage Home . 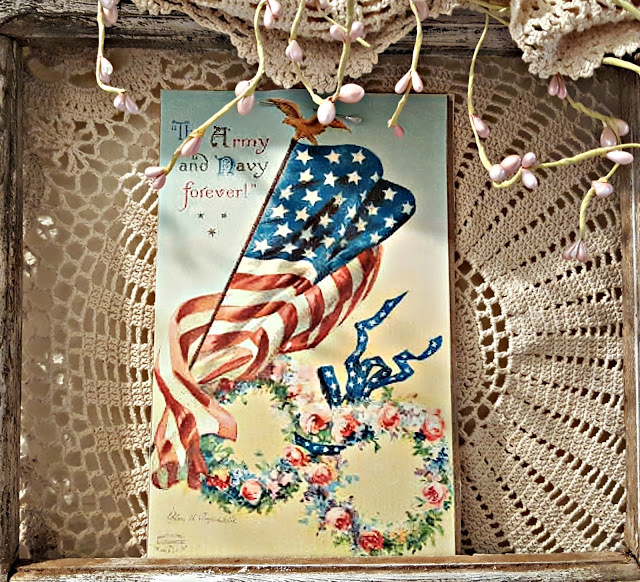 I just adore her vintage patriotic printables. I love everything about vintage postcards and these are fantastic. They look so cute with all her lace. That is it for now. Be sure to visit around a little. Thank you so much for the party and also for the feature! Have a great week ahead! Love Penny's patriotic display. You picked a great one to feature. It's always fun getting our house in order for summer. I have done a tiny bit of decorating and now...it's time for a good cleaning. Then, I can mostly relax for the rest of the hot weather. i lov what your dear daughter made for you, Katie! Congratulations to your nephew! Thanks so much for hosting and have a great week. Thanks for hosting Katie. It was fun to join in and also see all the fun inspiration each week. A busy, beautiful week! Thanks for hosting, Katie!